A stainless steel submersible centrifugal pump with microcast steel liquid vortex impeller. 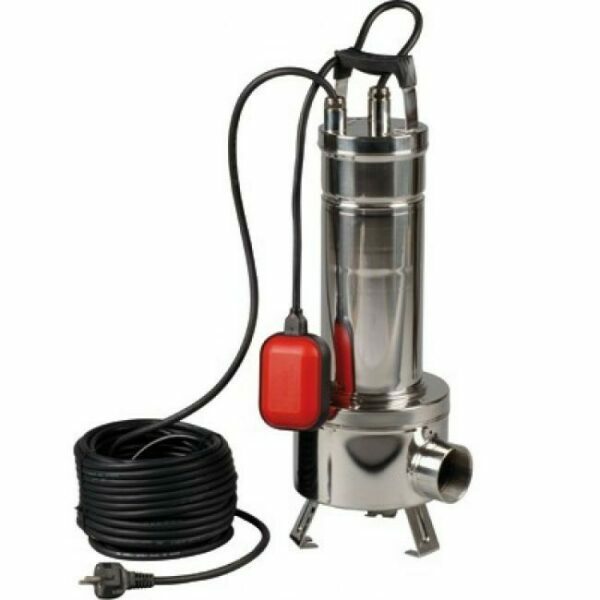 Suitable for lifting non aggressive sewage and grey water containing solid matter up to 50mm. Dry, asynchronous and waterproof motor, cooled by the pumped liquid. Rotor running on permanently lubricated ball bearings, selected to ensure low noise and durability. Overcurrent protection as standard for the single-phase version. Permanently connected capacitor in the single-phase version. Continuous duty with liquid temperature 35 °C and completely submerged pump. The single-phase version is available with or without float. Power cable: 10 metre H07RN-F, with plug for the single-phase version.